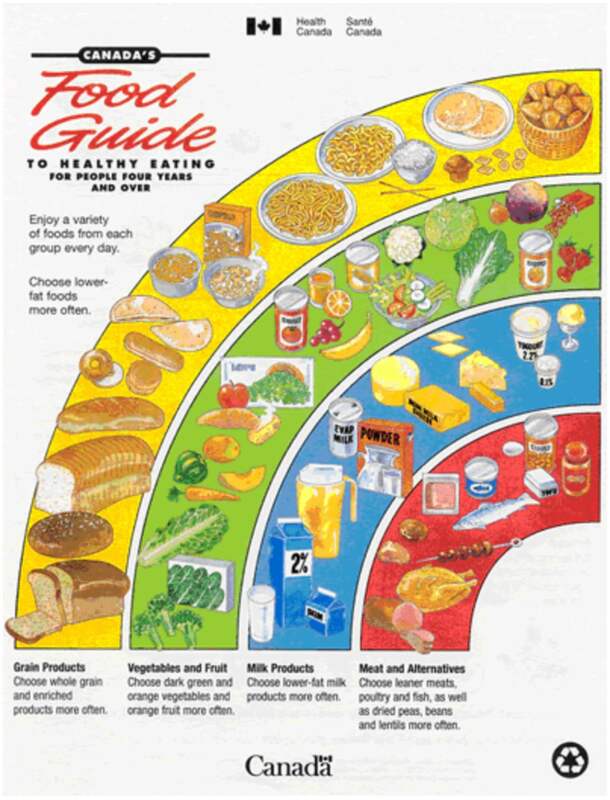 Canada’s Food Guide of 2007 was a difficult, rigid outline with specific food groups and awkward serving sizes that recommended too many calories, and was influenced by the various food industries that affect Canada’s agricultural economy rather than Canadian’s nutritional health. Canada’s New Food Guide (2019) took twelve years to evolve with review of the latest research on food, nutrients and health and much consultation with the public, stakeholders & health professionals. Health Canada stayed true to their vision of a conflict-free food guide by excluding industry-commissioned reports, such as those from beef, dairy and sugar. 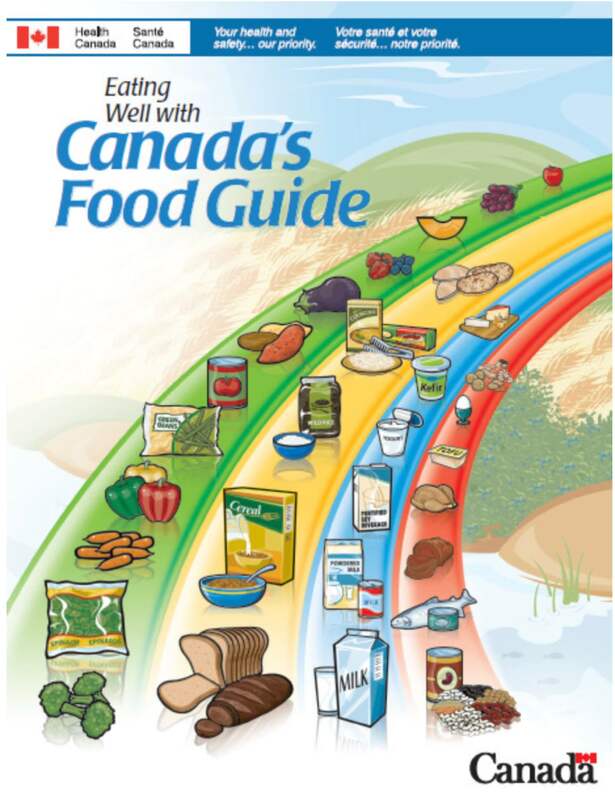 Canada’s New Food Guide is simple and easy to understand, focusing less on portion sizes of exact categories and more on how to eat and what to avoid. Eat Well. Live Well. There is a greater emphasis on consuming a variety of proteins, including plant-based proteins, plenty of fruits & vegetables, drinking water instead of juice and less emphasis on dairy and meat. 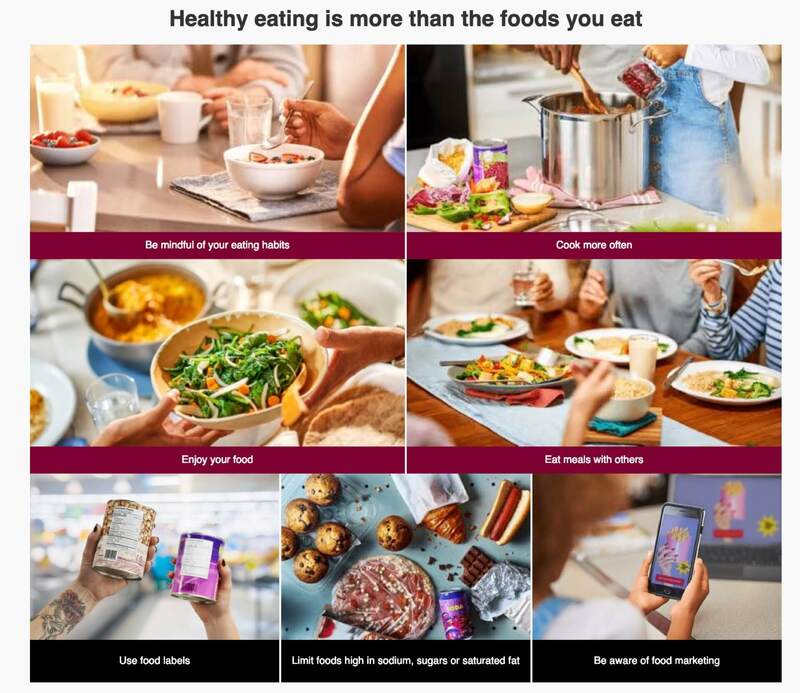 Canada’s New Food Guide even focuses on healthy lifestyle practices involving food, such as mindful eating, cooking at home and eating together. It educates consumers to read food labels, be wary of food marketing, and avoid salt, sugars & saturated fats. The guide is NOT saying to become vegetarian or vegan but rather to consider integrating plant-based proteins into your diet. The protein category includes many options in Canada’s New Food Guide including Poultry (Chicken, Turkey), Fish, Seafood, Meat, Eggs, Yogurt, Legumes, Nuts, Seeds, and Soy (Edamame Beans, Tofu, Soy Milk, Miso, Tempeh). Ultimately, a healthy diet is an individualized diet that abides by your food allergies, cultural traditions, moral and ethical beliefs, nutrient deficiencies & requirements based on metabolism and activity levels. Consult a Licensed Naturopathic Physician to help design the ideal diet for your optimal health. Canada’s New Food Guide has taken twelve years to evolve from its previous format in 2007, after much consultation and review of the latest research examining the effects of diet on disease. As a naturopathic physician, with a Bachelor of Science in Human Nutrition, it has always been my mandate to treat the cause of symptoms by educating patients on the critical role that diet has to attain optimal health and achieve disease prevention. This entails designing individualized diets that take into account food allergies, nutrient deficiencies, as well as cultural, ethical and religious preferences. Read on to understand my take on Canada’s New Food Guide 2019. Eat Well. Live Well. 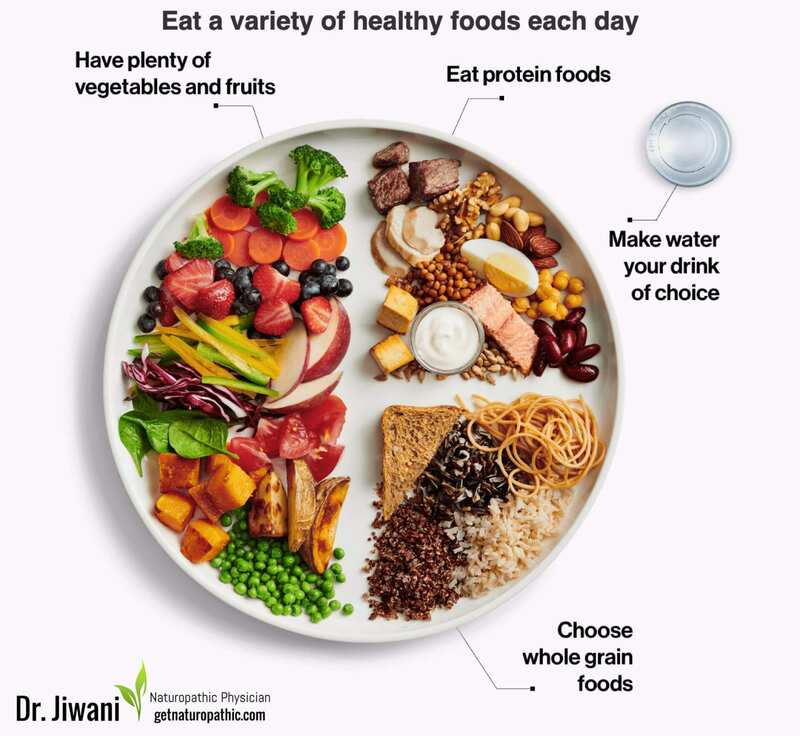 This new mantra of Canada’s New Food Guide 2019 seems reflect Health Canada’s consistent goal of guiding food selection to promote the nutritional health of Canadians. This latest food guide is simple and easy to understand, focusing less on portion sizes of exact categories and more on how to eat and what to avoid. They have tried to create a guide that is more diverse, taking into account various cultural backgrounds, vegans & vegetarians, food allergies, as well as the impact of our food choices to advocate sustainability, minimize environmental impact and reduce food waste. 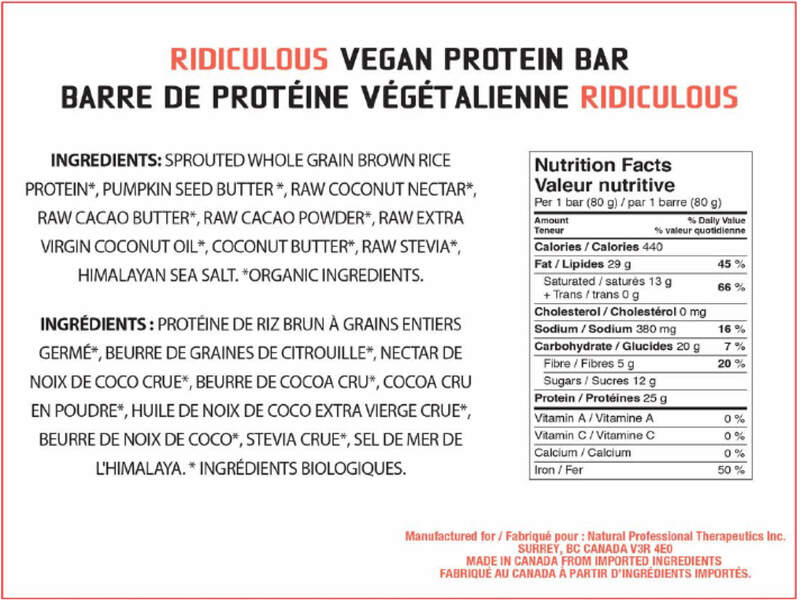 Canada’s New Food Guide places a greater emphasis on consuming a variety of proteins, including plant-based proteins, with less emphasis on dairy and meat. It recommends plenty of fruits & vegetables, and drinking water instead of juice. There is a focus on healthy lifestyle practices involving food, such as mindful eating, cooking at home and eating together. Interestingly, there is even consumer education about food marketing, reading food labels, and avoiding salt, sugars & saturated fats. Additionally, for institutions & policymakers, Canada’s New Food Guide provides healthy eating recommendations and standards to be served or sold in schools, daycares, recreation centres, workplaces, hospitals, and public & private health-care facilities. 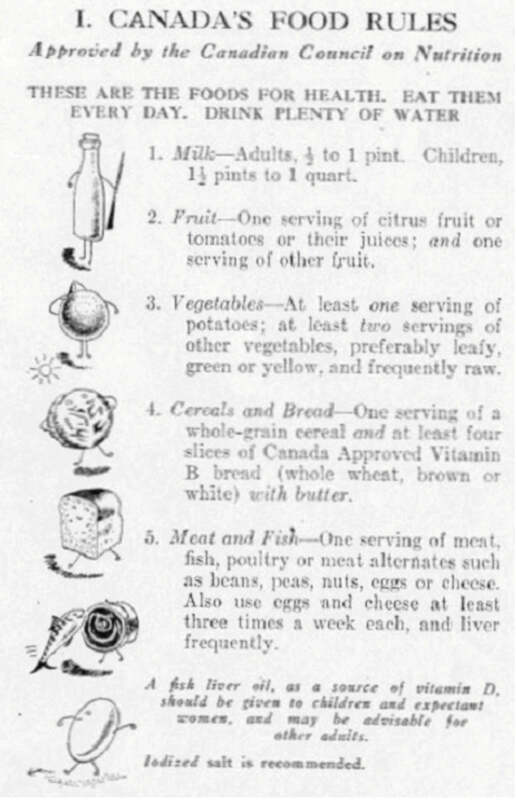 The evolution of Canada’s New Food Guide is an interesting journey through history. It is important to know the past to understand the present, and the how & why of today’s nutritional recommendations. 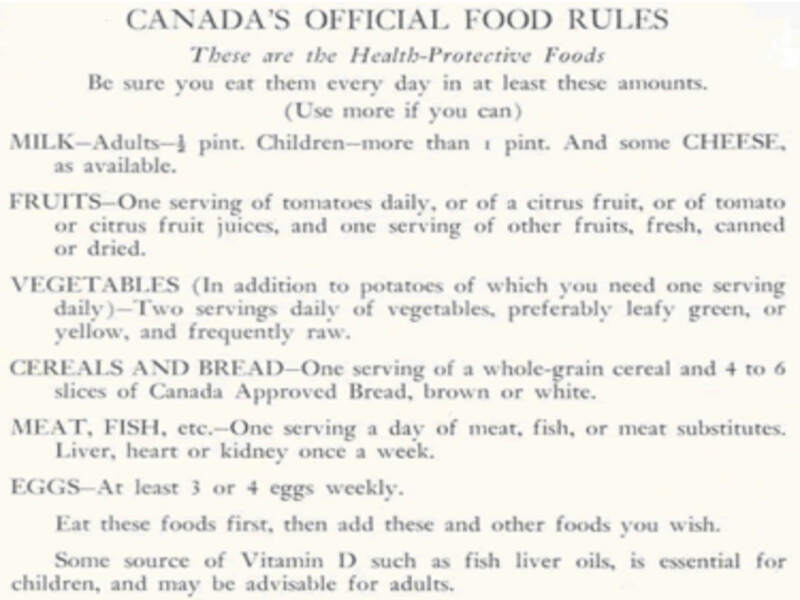 Canada first implemented Official Food Rules because of the extent of malnourishment that prevented recruitment of soldiers to fight in World War II. These rules were to respect wartime rationing and to encourage people to eat more. 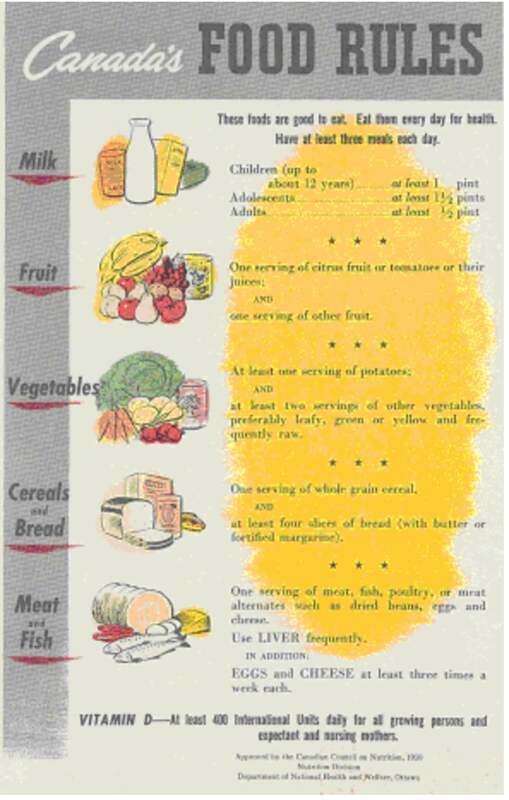 Ironically, the Food Groups that have been long standing were rationed foods not essential, nutritious foods! 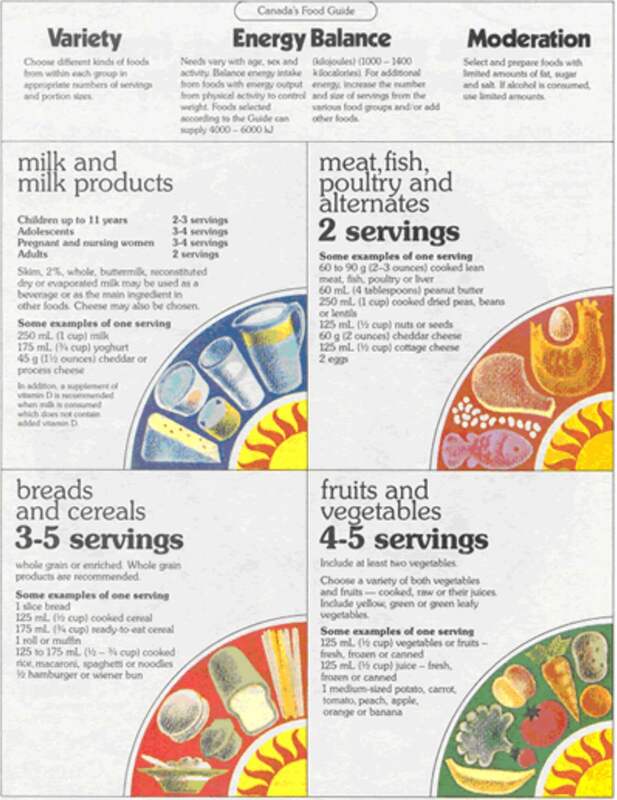 Canada’s Food Rules advocated Water, Iodized Salt and more Milk due to Vitamin B2 requirements. Kidney & Heart recommendations were removed due to shortages, however Liver remained due to its nutritional benefits. 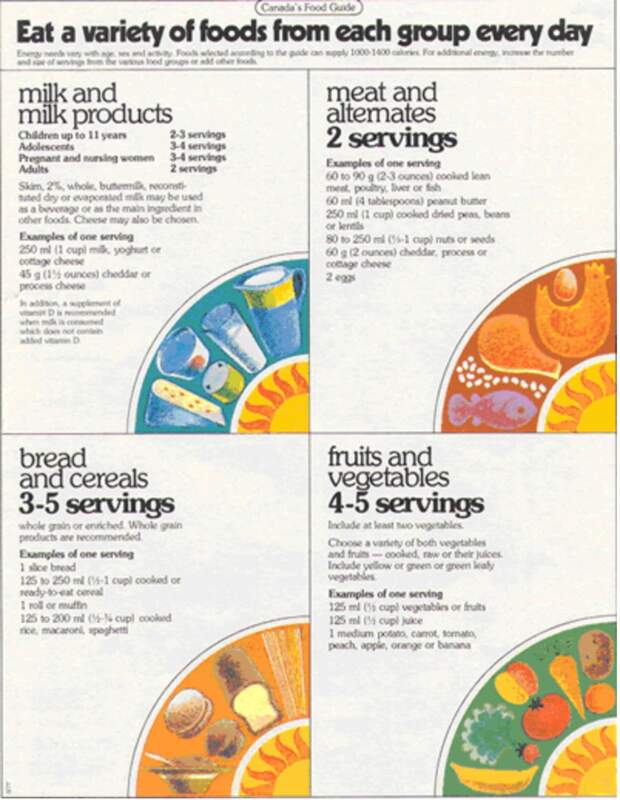 Five Food Groups arose as Milk was promoted, as was Bread (vitamin B), while Butter included Fortified Margarine. Vitamin D supplementation was recommended at 400 IU a day instead of Fish Oil. 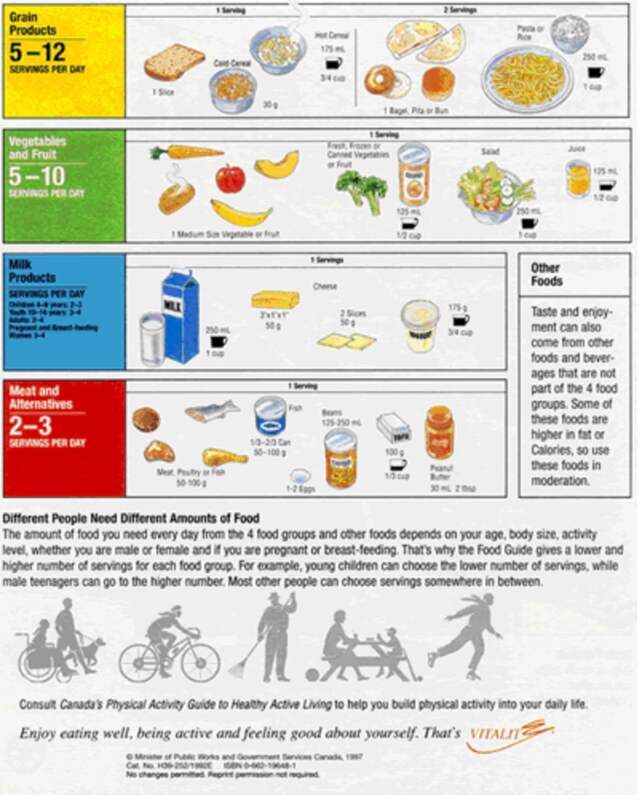 Canada’s Food Guide replaces “Rules”. Five Food Groups evolved to include Fruits & Vegetables, Bread & Cereals. Milk intakes were specified for the Pregnant & Nursing, while Meat Alternates clarified as Eggs, Cheese, Dried Beans or Peas. Liver was now recommended occasionally instead of frequently. Dramatic colourful revision of wheel-like around a sun graphic. Revisions due to updated nutrient reference values, increasing nutrition-related chronic illness, consultation with food industries, evolving food supply and changing environment. Although twelve years in the making, Canada’s New Food Guide is long awaited due to the many public and expert criticisms of the previous guide of 2007. CALORIES: the sheer amount of calories recommended are not conducive to weight loss or weight maintenance. COMPLICATED: the lengthy food guide projects a complicated, ineffective message, ie. hard to understand. AWKWARD: the serving sizes are not uniform (cups, ounces, teaspoons) especially since people don’t measure their food and don’t know what these “servings” look like. EXCLUSIVE: the food guide does not represent the cultural diversity of Canada, as some foods recommended are not ethically or religiously acceptable. There are no alternative recommendations for these groups nor for those with food allergies. BIASED: the inherent conflict of various food industries influencing the recommendations of Canada’s Food Guide for their financial benefit. Examples of these multi-billion dollar industries include the dairy, beef and sugar industries which play a critical role in Canada’s agricultural economy. 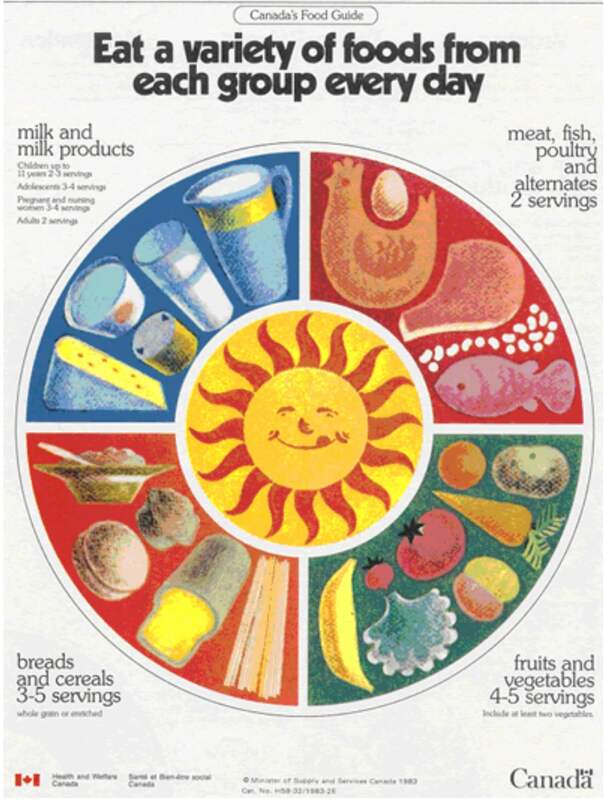 Canada’s New Food Guide has become a more simple, practical and comprehensive guide to health. 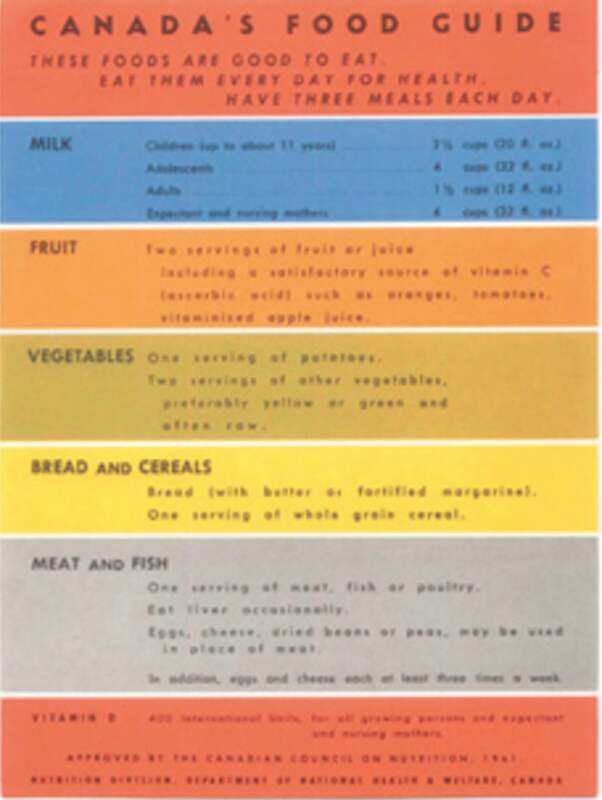 Visual guidelines supersede the days of measuring servings and counting food groups. Canada’s New Food Guide: Should I Become Vegetarian? From the topic of plant-based proteins discussed in Canada’s New Food Guide, a common question arises about vegetarianism from patients. The guide is NOT saying to become vegetarian or vegan but rather to consider integrating plant-based proteins into your diet. The protein category includes many options in Canada’s New Food Guide including Poultry (Chicken, Turkey), Fish, Seafood, Meat, Eggs, Yogurt, Legumes, Nuts, Seeds, and Soy (Edamame Beans, Tofu, Soy Milk, Miso, Tempeh). There are two issues with most plant-based proteins. Firstly, many plant-based proteins are highly allergenic which means they are common food allergies for those with symptoms. Secondly, not all plant-based proteins are alike, as most are not “complete” proteins. A complete protein is one that contains all the amino acids essential for survival, growth & repair. As such, I recommend patients substitute some meat meals with a protein shake or smoothie. 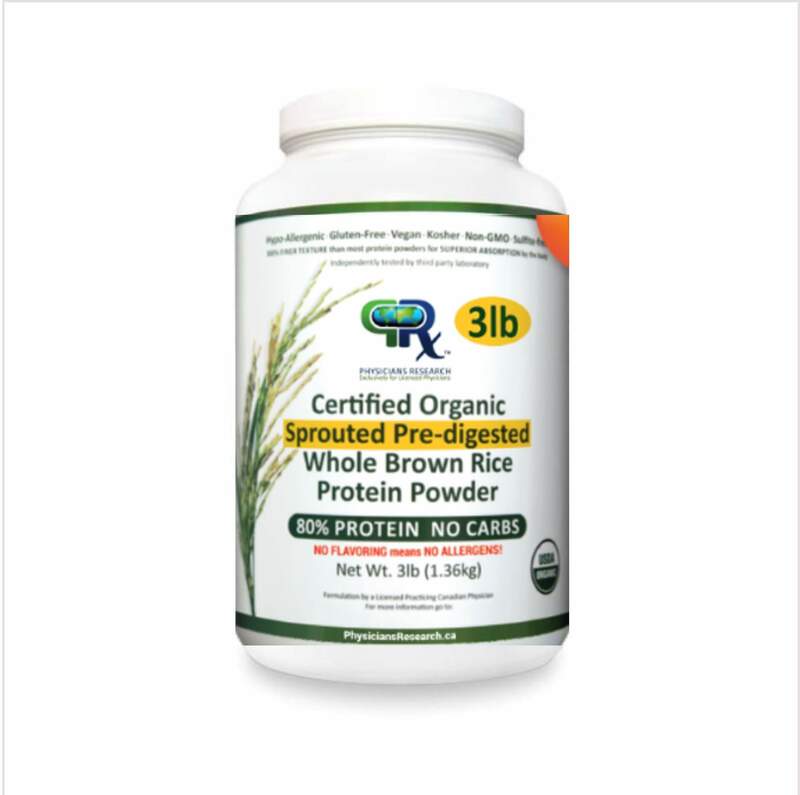 In order to ensure you consume a “complete” protein, it is essential to make your protein shake (smoothie) using a hypoallergenic, plant-based protein powder, Certified Organic, 100% Organic Sprouted Pre-Digested Whole Brown Rice 80% Protein Unflavoured. 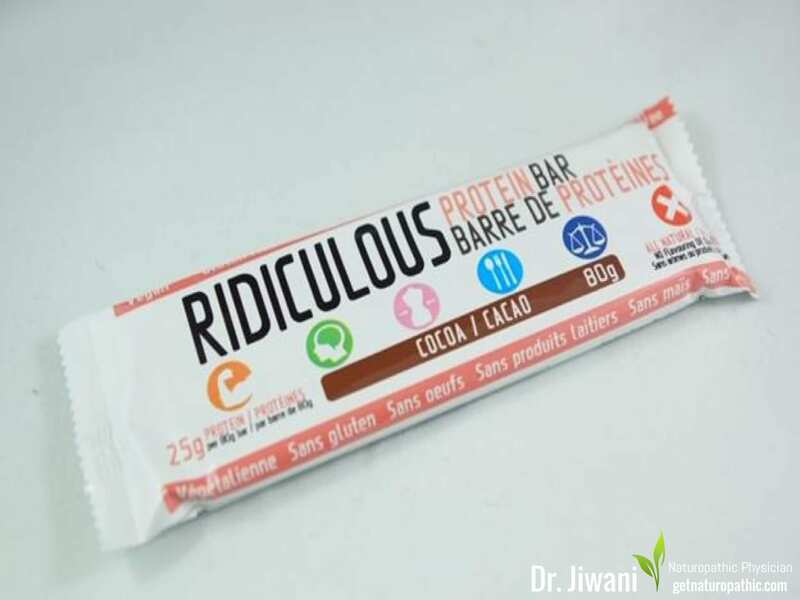 For portable convenience, I recommend the plant-based protein bar, Ridiculous Protein Bar 80g Cacao (Chocolate), as it is a HIGH Protein (25g) LOW Carb (15g) Organic Superfood, (Low Carb, Gluten-Free, Dairy-Free, Egg-Free, Corn-Free, Soy-Free, Sugar-Free, suitable for Diabetic, Vegan, Paleo, Keto & Candida Diets) and a healthier substitute to fast food. Soy & Pea Protein Powders are other plant-based protein options but they tend to be highly refined, highly allergenic (Legume Family). Rice Protein is often diluted with Soy & Pea Proteins to reduce the expense as Rice Protein is a more complete, pure, hypoallergenic, costly protein. Hemp Protein is another less processed option however it is only 50% protein, difficult to digest, gritty in texture with a challenging, grassy taste. The amounts required of Hemp Protein are 400% more compared to Rice Protein to achieve the same amount of protein grams. Since large amounts of Hemp Protein are required to equate to Rice Protein, in addition to the difficulty in flavour, texture & expense, Hemp Protein is a less viable plant-based protein alternative. Health Canada reviewed massive amounts of research to create Canada’s New Food Guide to strengthen healthy eating recommendations, while communicating guidance to the public, policy makers and health professionals. Discussion with Canadians and stakeholders to ensure that Canada’s New Food Guide would be use, easy to understand and apply. Revision Report of Fall 2016 summarizes 20,000 responses received. Online discussions, focus groups, more open consultation led to Phase 2 Report from 6,700 contributors. Extensive focus testing with Canadians and Health Professionals to develop tools & resources. Health Canada Officials did NOT meet with food & beverage industry representatives, however online public consultations were open to all stakeholders. Transparency of stakeholder communications was key to achieve healthy eating initiatives. Health Canada felt is was important to ensure conflict-free development of dietary guidance for the health of Canadians. Industry-commissioned reports were purposefully excluded to reduce the potential & perception of conflict of interest. Canada’s Dietary Guidelines for Health Professionals and Policy Makers, shows the evidence and rationale for Health Canada’s decisions in designing Canada’s New Food Guide of 2019. The first challenge is personalizing this information for your food allergies, cultural traditions, moral & ethical beliefs, nutrient deficiencies and requirements based on your current health, metabolism and activity levels. This is where expert help may be necessary to diagnose and define your particular unique needs. A Licensed Naturopathic Physician can assist with this and design an individualized diet for your specific goals, whether they are to overcome health issues, address nutrient deficiencies, avoid food allergies, hormonal imbalances, prevent disease, improve sports performance, achieve fat loss & muscle gain, while ensuring veganism or vegetarianism is done healthfully. The second challenge is turning knowledge into action. Sometimes knowing what you need to do, doesn’t always mean you understand how to implement it. Professional help may be necessary initially to help you to navigate the necessary planning, cooking and preparation required to implement healthy eating. The third challenge is more difficult and needs to be addressed at the government level. As it stands, for many facing poverty and food insecurity, following Canada’s New Food Guide is difficult when processed foods are initially less expensive, although the long term health consequences are costly. But when you live hand-to-mouth on a dime, you take what you can get to feed your family. Food Banks BC helps over 100,000 people of which 1 in 3 are children. While Food Banks BC has refrigeration to collect dairy, fresh food and meats from grocery stores that would otherwise throw it out, most food banks provide mostly dried and canned items. Through their National Food Sharing System, Food Banks Canada acquires and shares large industry donations of food and consumer products and coordinate national-level and large-scale food drives for their food bank network, from corporations such as Kraft Canada, Kelloggs, Canada Dry Motts, General Mills, P&G, and many more. Check out more information on Food Banks BC FAQs. Canada’s New Food Guide: Fixed or Flexible? 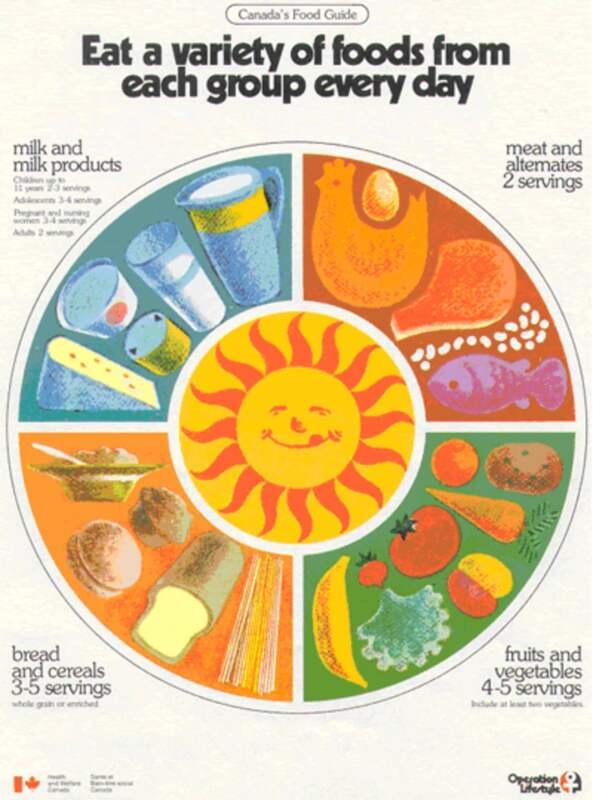 Canada’s Food Guide has mostly been just a guide, rather than a diet written in stone. I am happy to say that Canada’s New Food Guide encompasses more functional concepts for not only what we are eating, but how, where, when and who with. Although one guide cannot efficiently reflect all of our needs, it is important to view Canada’s New Food Guide as a stepping stone to personalizing an optimal diet to help you achieve your ideal health goals. 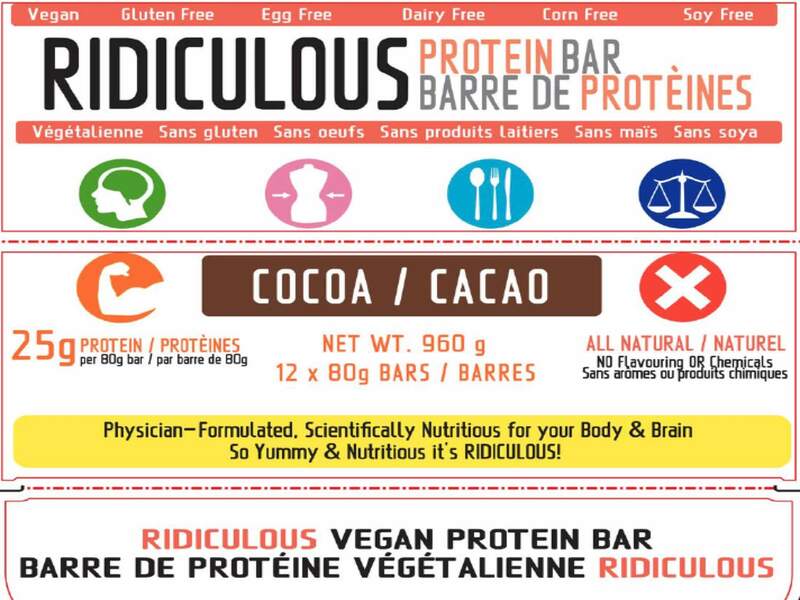 Canada’s New Food Guide: Individualize It! Ultimately, a healthy diet is an individualized diet that incorporates food options that abide by your food allergies, cultural traditions, moral & ethical beliefs, nutrient deficiencies and requirements based on your metabolism and activity levels. Whether you are vegan, vegetarian or flexitarian, an environmentally sustainable approach that reduces meat consumption with more plant-based food choices, consult a Licensed Naturopathic Physician to help design the ideal diet for your optimal health. This post is for educational purposes only and does not advocate self-diagnosis. Due to individual variability, consultation with a licensed naturopathic physician is highly recommended, prior to starting a natural treatment plan.